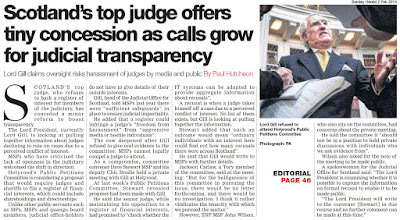 Scotland’s first Information Commissioner, Kevin Dunion & his team have shone a much needed light on the justice system. 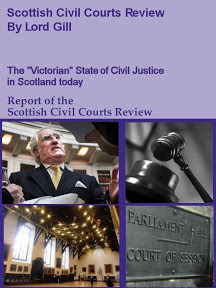 WITH Scotland’s first Information Commissioner Kevin Dunion stepping down last week, Diary of Injustice & independent law journalist Peter Cherbi would like to thank Mr Dunion and his hard working, attentive team at the Scottish Information Commissioner’s office for their significant contribution in ensuring for the first time ever, consumers of legal services in Scotland, court users, party litigants, McKenzie Friends, lay assistants, journalists, campaigners, individuals and even solicitors, have finally had access to key information on the secret parts of Scotland’s justice system, such as regulation of the legal profession, which has remained a closed shop secret world for decades until the FOI compliant Scottish Legal Complaints Commission came along in 2008. 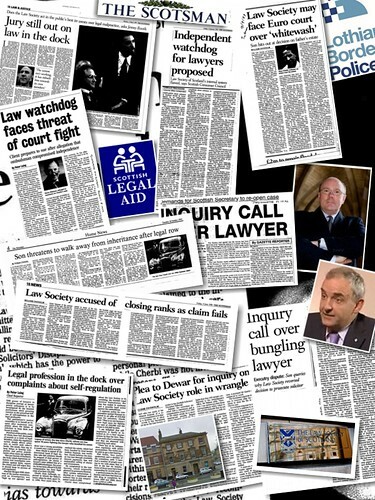 Freedom of Information requests to the Scottish Legal Complaints Commission and its many other connected bodies, along with Mr Dunion’s investigations & decisions on requests where the SLCC refused to disclose material, have without doubt, helped the media report on the many pitfalls of how badly solicitors are regulated in Scotland, and on the inner workings of regulatory bodies which are by most accounts, hostile to consumers who have found themselves placed in the unenviable position of having to complain about their solicitors. 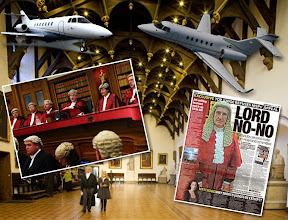 Freedom of Information legislation requests & investigations by Diary of Injustice have also contributed to a wider understanding of how the Scottish Legal Aid Board (SLAB) operate, where SLAB & Crown Office officials appeared to be more interested in expenses claims & flying high on intercontinental air carriers than pursuing sleazy solicitors who make off with millions of pounds of taxpayer funded legal aid. 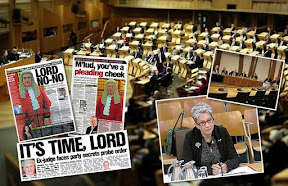 Even the judiciary of Scotland have come in for improvement after FOI requests forced the publication of JUDGES EXPENSES, allowing the public to peer into the murky world of Scottish judges earning up to TWO HUNDRED THOUSAND POUNDS a year plus expenses, tips & hospitality so far unrecorded. 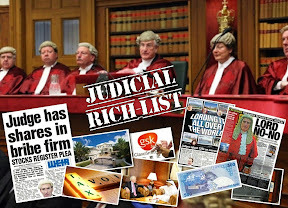 Diary of Injustice first reported on the issue of judicial expenses, here : The costs of Scotland's 'Victorian' Justice System : Court of Session judges paid £6.1 million as litigants struggle to obtain hearing dates and further reports continued HERE, all brought to you by Freedom of Information legislation & tips from well placed sources. It’s not all about the justice system though … Freedom of Information investigations by journalists and individuals all over Scotland have contributed to significant news stories, the publicising of injustice, scandals in our hospitals, poor services, scandals or treatment of individuals by local authorities, unfair practices in the financial world, corrupt politicians stealing from the public purse & much more which have or will result in improvements to the quality of life in Scotland throughout a wide variety of fields. The Scottish Information Commissioner Kevin Dunion has issued his last decision, criticising NHS Ayrshire and Arran for some of the most serious failings in records management and information recovery he has seen in his nine years in office. NHS employee Mr Rab Wilson had asked for copies of Critical Incident Reviews, Serious Adverse Event Reports and associated action plans, which are used in the primary care field as a structured way of investigating incidents and ensuring lessons are learned. NHS Ayrshire and Arran advised Mr Wilson that they held only one action plan. 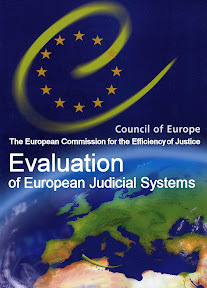 However given the potentially serious nature of the incidents which give rise to Critical Incident Reviews, and the Board's stated policy on these reviews, the Commissioner challenged this position when the case was appealed to him, and over the coming months more than 56 action plans were found. The Commissioner has ordered the Board to disclose anonymised versions of the reports and plans to Mr Wilson. Mr Dunion, who demits office tomorrow, said: "This case has involved a catalogue of failings by NHS Ayrshire and Arran to search for and find information falling within the scope of Mr Wilson's request – perhaps the most serious such case by an authority in my time as Commissioner. Claims made to Mr Wilson turned out to be wrong and prior assurances given to me and my staff turned out to be unjustified. At the very least, this constitutes a significant failure of records management, but, given the nature of the information which was the subject of the request, the failings may point to wider governance issues which have to be addressed. "Mr Wilson's persistence was characterised by the Board as being vexatious, but perhaps instead should have raised concerns that records concerning critical incidents which should have been held were missing, policies regarding action plans were not being adhered to and public confidence that plans had been drawn up and acted upon could be affected. Certainly I found it so difficult to believe that such documents could be unaccounted for in terms of whether they had been created, acted upon or destroyed that it caused me to continue with my investigation despite the Board's protestations. "As this is my last decision, I will recommend to the new Commissioner, who takes up post on 1 May 2012, that consideration is given to carrying out an assessment of NHS Ayrshire and Arran's freedom of information practices." 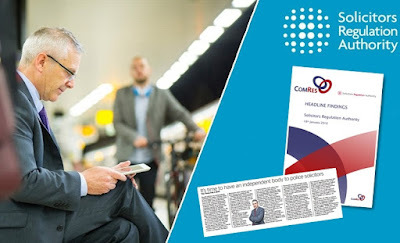 The Commissioner has taken the unusual step of writing to Dr Martin Cheyne, Chairman of Ayrshire and Arran NHS Board, to bring these serious breaches directly to his attention, as well as to Mr John Burns, the Chief Executive. The case will also be brought to the attention of Scottish Ministers and other relevant bodies. 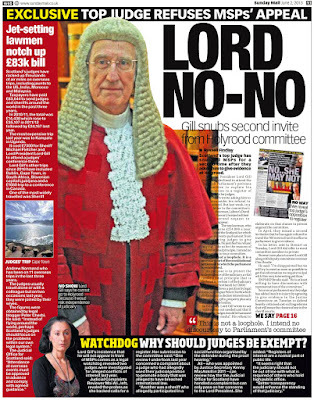 Fifth Chief Executive sought for lawyer complaints quango mess. 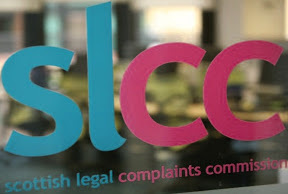 CONTINUITY appears to be a bad word at the Scottish Legal Complaints Commission (SLCC), who are now faced with conducting a recruitment process to find a FIFTH replacement for the role of SLCC Chief Executive, after losing its FOURTH CEO, Rosemary Agnew to the post of Scottish Information Commissioner. The job of SLCC Chief Executive, which no one seems to want, or can stand for more than a year, attracts a salary of around EIGHTY THOUSAND POUNDS A YEAR plus expenses, hospitality, and other perks from the law complaints quango which has so far cost clients of solicitors and taxpayers a stunning FOURTEEN MILLION POUNDS plus since 2008 yet has apparently not seen one single crooked lawyer prosecuted or struck off as a result of SLCC investigations into consumer complaints against the legal profession. Continuing the lack of continuation in the role of SLCC Chief Executive, Mrs Agnew has occupied the SLCC’s Chief Executive job for a little more than a year after taking on the ill fated position from the SLCC’s first Chief Executive, Eileen Masterman, who resigned on ill health grounds, coincidentally also after being able to stand little more than a year in the job based at the Stamp Office in Edinburgh. 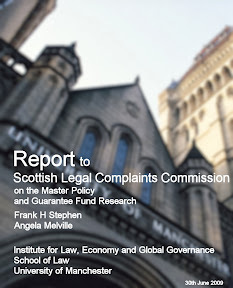 Reports of difficulties during Ms Masterman’s time as Chief Executive of the Scottish Legal Complaints Commission saw a string of controversial decisions involving the Law Society of Scotland’s Master Insurance Policy, secret meetings with insurers Royal Sun Alliance & Marsh, who were convicted of illegal activities in the United States. Prior to Eileen Masterman’s appointment as CEO in 2008, Richard Smith, who was appointed by the Scottish Government as the interim’ Chief Executive in the formation year of the Scottish Legal Complaints Commission, resigned in early 2008 after only a few months in the job. Mr Smith, a a consultant in the Scottish government's justice directorate, was officially reported to have stood down to focus on other projects. 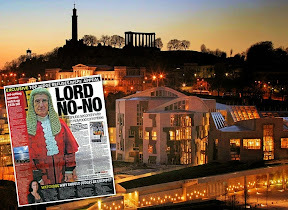 However legal insiders have since informed Diary of Injustice the resignation was as a result of views expressed that the SLCC was not going to live up to expectations promised by the Scottish Parliament. 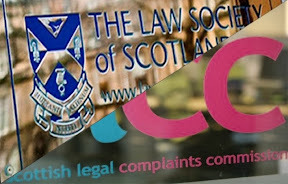 The establishment of the SLCC represented a change in the way complaints against the legal profession were handled by introducing a novel form of funding for a public body in Scotland. We focus on the early resolution of disputes and encourage improvement whilst remaining independent, accessible and impartial. I would like to take this opportunity to thank our departing Chief Executive, Rosemary Agnew, who has established a core team which is working well with established governance and financial polices, allowing operational matters to run smoothly. From this sound platform we are searching for a CEO who will lead us into the next phase of evolution for SLCC. We are looking for a leader who can inspire the operational team as well as influence change. 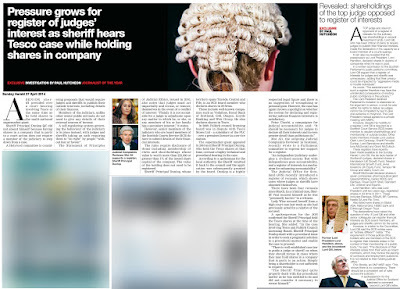 Naturally, our new CEO should continue to drive operational efficiency upwards internally as well as influencing externally to help improve service standards within the legal profession. We are looking for someone with the appropriate level of gravitas to work in partnership with key stakeholders and develop the way the SLCC evolves over the next 5 years. The Chief Executive will be responsible for enhancing operational efficiency by reducing the time we take to deal with cases and the costs, ensuring that we are 100% user focussed. We already have a LEAN review underway and this will form a bridge into this new phase. A new CEO will also have to start to use the evidence we hold about practise trends and complaint handling to encourage higher service standards within the Scottish legal professions. As well as the typical leadership qualities, the SLCC requires a CEO who is familiar with using evidence gathered to ensure policy within the professional bodies matches the best in regulatory practice. The successful candidate will need to be capable of negotiating with a very broad range of stakeholders from small interest groups to the Scottish Parliament. Naturally, you will have the credibility to influence and persuade as well as the capability to resolve complicated arguments, often formulated by emotive parties and / or historic practices. In return the CEO will work with an excellent small team and enjoy the support of an active Board while fronting an intellectually stimulating role meeting the demands of both the public and private sectors. Those interested in filling the shoes of Eileen Masterman, or Rosemary Agnew can find send their up to date CV and covering letter/supporting statement to Munro Consulting who are handing the recruitment : Amy Dalgleish by e-mail to amy.dalgleish@munroconsulting.com or by post to Munro Consulting Ltd, Monteith House, 11 George Square, Glasgow, G2 1DY quoting reference G640. 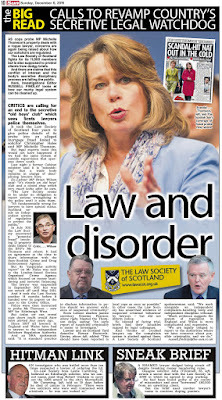 Regulating lawyers on the cheap : Jane Irvine’s SLCC sets the ‘Staying out of jail’ fee for Scottish lawyers at £338 a year. 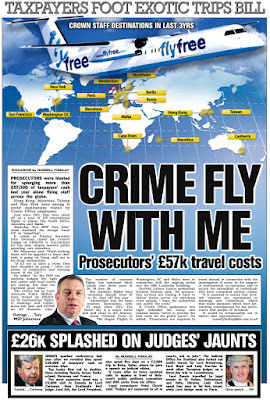 IF CRIMINALS could pay the Police £338 a year to rig an investigation, avoid criminal charges or a prosecution before the courts, there would be many takers (actually, come to think of it, there are). 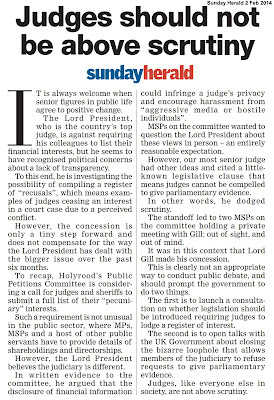 In what may therefore be a perfect comparison to a bribe to keep out of the arms of the law, the stage is set for another perfect ‘keep out of jail’ exercise in the legal world, where the Scottish Legal Complaints Commission (SLCC) has this week, announced its 2012-2013 budget of nearly THREE MILLION POUNDS, where solicitors with three or more years of experience will be required to pay a complaints levy of £338, thus ensuring the legal profession can continue to cover up the actions of Scotland’s swelling ranks of corrupt lawyers. 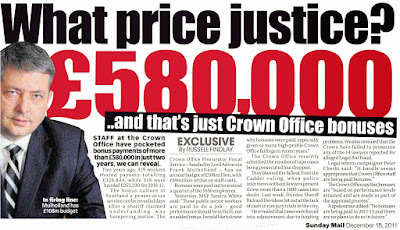 There is little doubt that a meagre £338 a year to ensure lawyers continue to regulate lawyers is certainly a bargain, if one considers the amounts of money being taken from clients on an annual basis, and the vast sums of taxpayers money being lost to solicitors fraudulently claiming legal aid, resulting in figures which are well into the tens of millions of pounds. 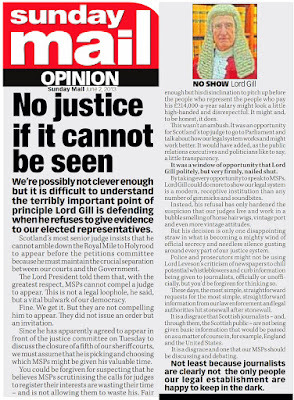 Yet the Law Society of Scotland does not appear to feel the £338 is much of a bargain, even though their member solicitors appear to be recouping the complaints levy many times over from huge hikes in client fees, and other creative ways lawyers have used to swell their wallets. This year, we are going to be treated to much the same spectacle, after the Law Society criticised the SLCC’s latest budget plan, and urged savings. 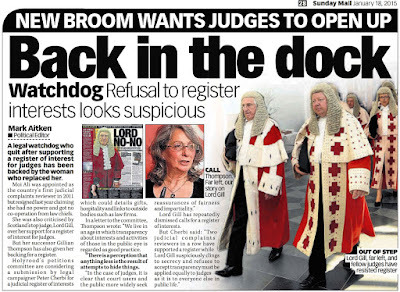 You can be certain a letter from the Law Society to Roseanna Cunningham, who replaced Fergus Ewing, will certainly be in the post, or already on her desk demanding Ministerial coercion or simply just another up front intervention to lower the cost of the complaints levy to lawyers. Law Society’s Chief Executive Lorna Jack. 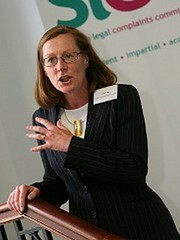 Lorna Jack, the current Chief Executive of the Law Society of Scotland who replaced the much more fun Douglas Mill, was quick to plead poverty on behalf of her fellow solicitors in a Press Release issued by the Law Society, commenting : "Many of our members are facing difficult times economically. Whilst we accept that the commission does not have the kind of reserves to offset the levy as it did last year, we believe that all efforts should be made to find further savings within the proposed budget thereby lessening the impact of the proposed levy increase." 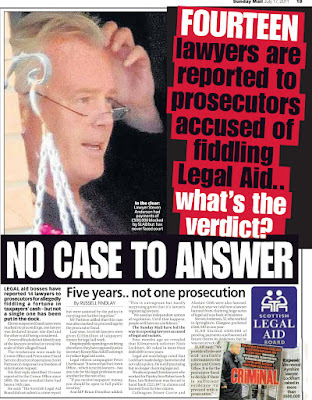 The pleas of poverty on the part of lawyers do not appear to match the reality of large scale legal aid frauds running into millions of pounds a year, hikes in client fees where even the simplest cases taken on by Scottish solicitors are now costing several thousands of pounds a year to resolve and being stretched out for years to ensure further income. Ms Jack continued : "The Commission has indicated that its expenditure will be down by half of one percent on last year. However, we are urging them to find further savings - without compromising the core and important role they perform - so that the annual levy solicitors pay to fund the organisation can be as low as possible in the coming year. "Many of our members are facing difficult times economically. Whilst we accept that the commission does not have the kind of reserves to offset the levy as it did last year, we believe that all efforts should be made to find further savings within the proposed budget thereby lessening the impact of the proposed levy increase." One of the most significant changes in the budget this year is the proposal to abolish the fee for resolving a complaint on the recommendation of a complaints investigator. Instead, the SLCC has the discretion to charge a case fee of up to £5,000 if a complaint is upheld at the determination stage. The Scottish Legal Complaints Commission issued a Press Release on the budget, lacking any statement from its Chief Executive. 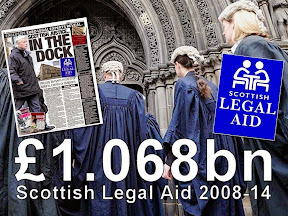 The SLCC is funded by a levy paid by legal professionals operating in Scotland. Under the terms of the Legal Profession and Legal Aid (Scotland) Act 2007, we are required to consult with the professional bodies about our proposed budget for the next financial year. Following the consultation, the budget will be agreed and then laid before the Scottish Parliament. The SLCC's financial year runs from 1 July to 30 June. The proposal is to: (i) set the complaints levy at mediation and investigation stages at zero for all complaints resolved. (ii) set the complaint levy at zero for complaints not upheld at determination (iii) set a single capped figure of £5,000 for complaints upheld in full or part at determination. The SLCC's policy will be to apply discretion to charge up to that figure taking into account the circumstances of the case and providing reasons for the levy charged. The full SLCC Proposed Budget (PDF, 95k) reports the most significant areas of spend continues to be on staff and members, both of which have increased in the current budget. The budget for 2011/12 was based on a head count of 38. 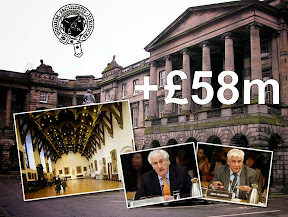 The budget for 2012/13 is based on a headcount of 40.6 (The 0.6 being Jane Irvine’s dog, probably the only trustworthy yet unofficial member of staff at the Stamp Office who wont tell a client to drop dead just because they filed a complaint about their lawyer). The SLCC claims the new staffing headcount reflects the changes since the SLCC reviewed its staffing levels as part of the restructuring during 2010/11 and the increase in the volume of work related to complaints and oversight. No mention was made of staff leaving the SLCC either on health grounds, grievances or other issues such as departing to higher up the chain appointments. The most significant variances between years not related to staffing are: (i) Direct case costs : The increase is based on actual expenditure in the previous year on case-related legal costs. The majority of this is in relation to appeals. ii) Corporate legal costs : The increase is based on actual expenditure on advice in relation to interpretation of the 2007 Act, Freedom of Information requests/ reviews, employment and governance. The majority being in relation to interpretation of legislation. The SLCC said this is likely to continue into the 2012/13 financial year. 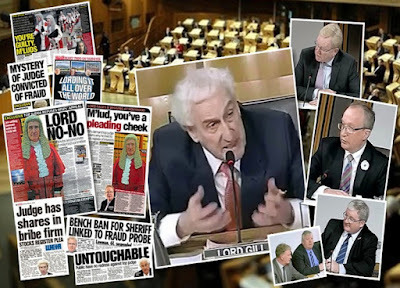 Last year the SLCC blew hundreds of thousands of pounds on legal fees, associated with legal advice on just about every FOI request the SLCC received, along with advice & representation on a string of solicitors court challenges to its authority. 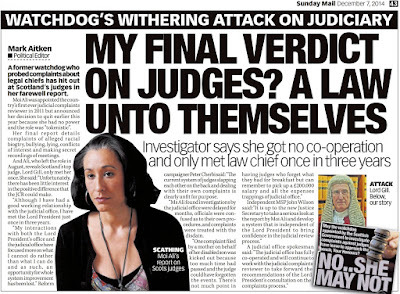 If Jane Irvine’s pet dog doesn't believe the SLCC’s operational plan without a biscuit inducement, neither therefore should consumers who are forced to complain about their solicitors to the Scottish Legal Complaints Commission. 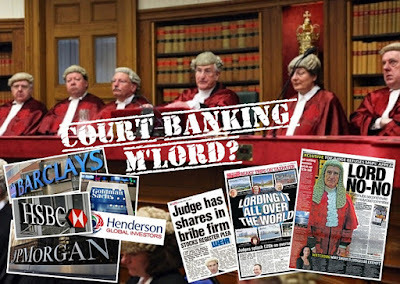 We are after all talking about an organisation which has so far, told most consumers to ‘get lost’ about their complaints, upheld only a handful of cases against members of the legal profession, and appears not to have prosecuted any crooked lawyer or taken part in a striking off case after all the millions spent on the quango since 2008. 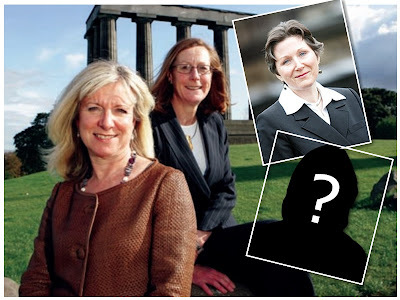 SLCC Chief Executive Rosemary Agnew, soon to be Scotland’s new Freedom of Information Commissioner. 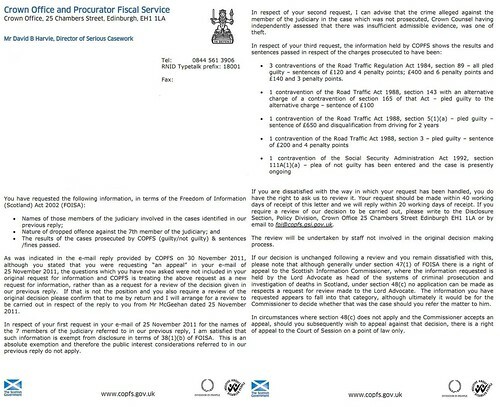 Rosemary Agnew, the SLCC’s soon to exit Chief Executive who was recently appointed to replace Kevin Dunion as Scotland’s Information Commissioner, apparently at the insistence of a closed group of senior msps has written to the regulators who must ensure the complaints levy is paid. 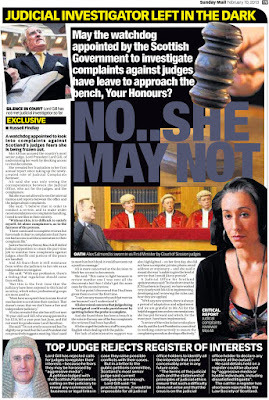 Ms Agnew’s letters can be found here : SLCC letters to the professional bodies (PDF, 6Mb). Ms Agnew in her role as Chief Executive has chosen not to issue any comment on the budget unlike last year where the Chief Executive issued a long statement. 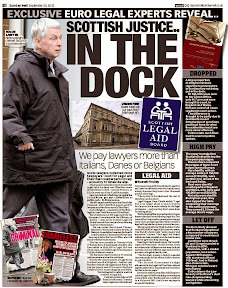 Crown Office & Law Society 'deal' allowed a ‘crooked lawyer’ to escape justice over client fraud charges. 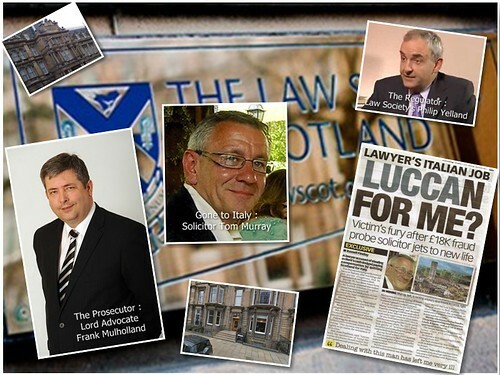 SIGNIFICANT FAILURES on the part of prosecutors at the Crown Office & Procurator Fiscal Service and the lawyer’s regulator the Law Society of Scotland to prosecute solicitor THOMAS HUGH MURRAY over a string of fraud allegations made by his former clients have allowed the one time Stirling based lawyer who has been the subject of several investigations to slip away to the Northern Italian town of Lucca in Tuscany after the Law Society and prosecutors suspiciously failed to pursue charges the struck off solicitor embezzled £18,000 from client Neil McKechnie. 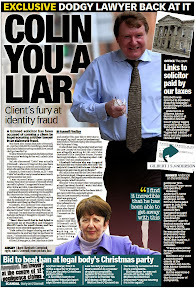 It has now emerged via the Sunday Mail newspaper that Murray, the solicitor involved in the client scam has been ARRESTED TWICE by Scottish Police, once over fraud charges and again after an attempt to flee the UK to avoid being prosecuted. 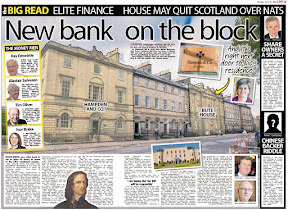 However, the charges were dropped after a cosy deal was reached between the Crown Office & the Law Society of Scotland who then failed to act to protect clients. 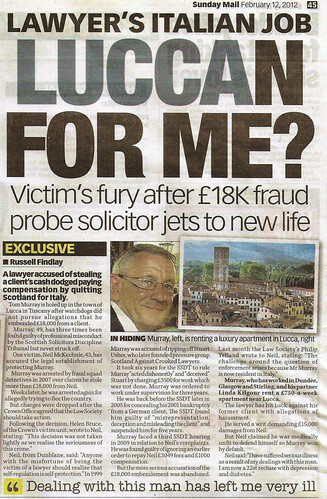 The now Italian based Tom Murray, who as a solicitor was sequestrated in 2001 in Scotland, continues to avoid any moves to recover compensation for ruining his clients lives even though he has appeared before the Scottish Solicitors Discipline Tribunal (SSDT) on no less than three occasions, (i) Law Society-v-Thomas Hugh Murray 01/03/2005 (ii) Law Society-v-Thomas Hugh Murray 25/11/2005 and (iii) Law Society-v-Thomas Hugh Murray 10/12/2009. Murray was found guilty of professional misconduct in respect of misrepresentation, deception and misleading clients including his failure to tell his clients he had been barred from practising as a lawyer. 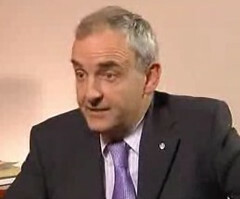 However, the Law Society of Scotland and SSDT’s attempts to prosecute Murray over the complaints have been called into question after it was alleged the solicitor appointed by the Law Society of Scotland to prosecute Murray before the Discipline Tribunal may have had a professional relationship with the very same solicitor he was supposed to be prosecuting. 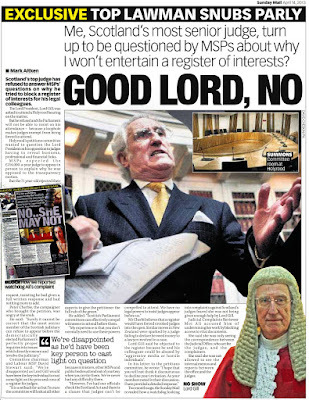 The details of what can only be described as a serious conflict of interest between the Law Society’s prosecution of Murray and the accused solicitor only came to light after a secret internal investigation at the Law Society, which is rumoured to have been given contradicting accounts by those involved in prosecuting Murray at the SSDT.. Prosecutors wrote to the solicitor’s victim admitting serious crimes had occurred yet they dropped the charges. 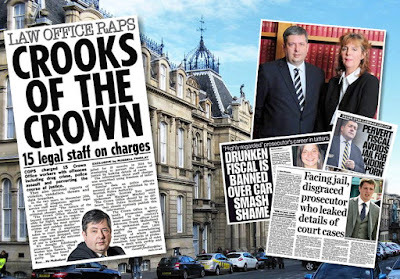 The Crown Office & Procurator Fiscal Service have also come in for stinging criticism in their failure to prosecute the solicitor over the fraud allegations after he was reported to Police by clients who had their money taken by Murray, and although Police did arrest the solicitor over the allegations, twice, the Crown Office came to a cosy arrangement with the Law Society of Scotland who were supposed to act but instead allowed the one time lawyer to slip away to Italy. The Procurator Fiscal’s Office in Stirling wrote to Mr McKechnie, stating : “A decision was taken by the Crown Office to take no further proceedings in this case: this decision was not taken lightly as we realise the seriousness of this crime.” Further attempts to gain further information relating to the refusal to prosecute the lawyer have failed, after the Crown Office refused to release any of the papers it held on Murray, raising suspicions of yet another cover up where the Lord Advocate’s team have taken decisions not to prosecute a colleague from the legal profession. 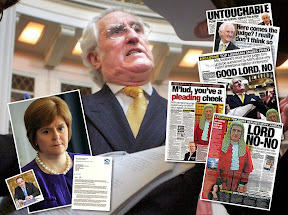 However, investigations now being carried out by independent law journalists into the Thomas Murray crooked lawyer scandal have now revealed the involvement of a prominent Scottish Sheriff in Murray’s sequestration which dates back as far as 2001, and allegations surrounding the fraudulent use of cheque books belonging to a building company and other activity which may warrant a criminal investigation. More details on these new revelations will follow in further articles. 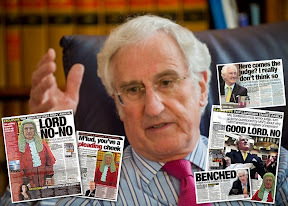 Mr McKechnie’s health has suffered significantly as a result of dealings with Mr Murray and the situation has been made much worse by the Law Society’s failure to resolve the matter. However, Mr McKechnie is now being assisted by his local msp, Keith Brown (SNP) who is also the Scottish Government’s Transport Minister. A LAWYER accused of stealing a client’s cash dodged paying compensation by quitting Scotland for Italy. Tom Murray is holed up in the town of Lucca in Tuscany after watchdogs did not pursue allegations that he embezzled £18,000 from a client. Murray, 49, has three times been found guilty of professional misconduct by the Scottish Solicitors Discipline Tribunal but never struck off. 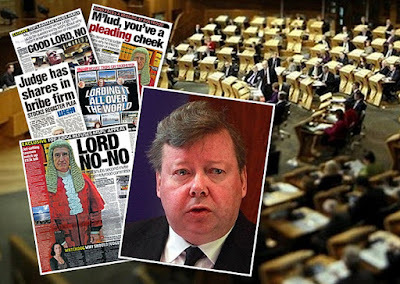 One victim, Neil McKechnie, 43, has accused the legal establishment of protecting Murray. 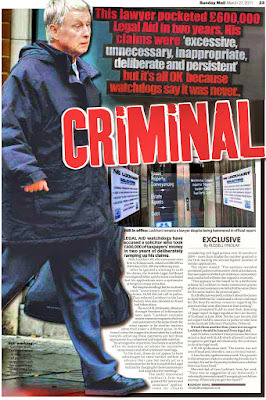 Murray was arrested by fraud squad detectives in 2007 over claims he stole more than £18,000 from Neil. Weeks later, he was arrested again for allegedly trying to flee the country. 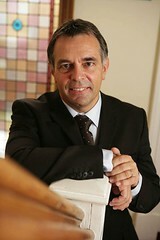 But charges were dropped after the Crown Office agreed that the Law Society should take action. Following the decision, Helen Bruce, of the Crown’s victim unit, wrote to Neil, stating: “This decision was not taken lightly as we realise the seriousness of this crime.” Neil, from Dunblane, said: “Anyone with the misfortune of being the victim of a lawyer should realise that self-regulation is self-protection.” In 1999 Murray was accused of ripping off Stuart Usher, who later founded pressure group Scotland Against Crooked Lawyers. It took six years for the SSDT to rule Murray “acted dishonestly” and “deceived” Stuart by charging £3500 for work which was not done. Murray was ordered to work under supervision for three years. He was back before the SSDT later in 2005 for concealing his 2001 bankruptcy from a German client. The SSDT found him guilty of “misrepresentation, deception and misleading the client” and suspended him for five years. Murray, who has worked in Dundee, Glasgow and Stirling, and his partner Linda Kilgour rent a £750-a-week apartment near Lucca. 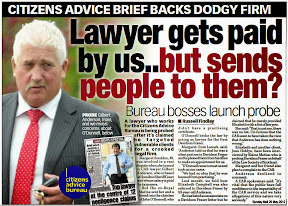 The lawyer has hit back against his former client with allegations of harassment. 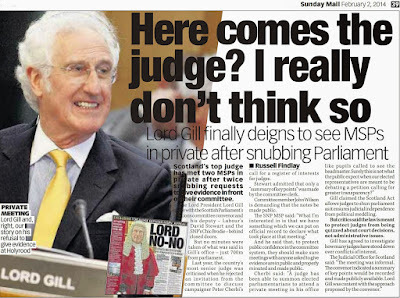 He served a writ demanding £15,000 damages from Neil. But Neil claimed he was medically unfit to defend himself so Murray won by default. 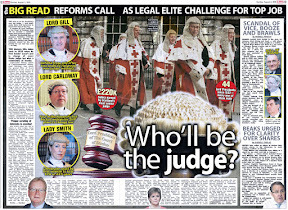 Judges appointed by Scottish Ministers on the say so of other judges have become convicted criminals & alleged Benefits cheats yet Lord Advocate wont name them. 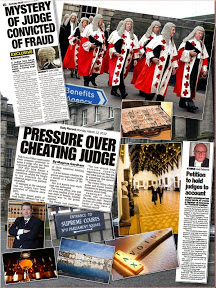 AN ONGOING INVESTIGATION by Diary of Injustice into cover ups within the Scottish Judiciary and a lack of a judicial register of interests has revealed a number of Scottish Judges who can earn up to £200K a year have been investigated & charged with, or have PLED GUILTY to a string of CRIMINAL CHARGES while at least one other judge has been charged with BENEFITS FRAUD. 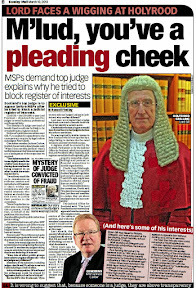 However, prosecutors are so worried for the positions of some of the judges who have handed down guilty verdicts on criminal cases brought before them in court, the Crown Office & Procurator Fiscal Service (COPFS) HAS REFUSED to disclose the identities of any of the judges involved, for fear of sparking investigations into their conduct while in office and calls for a wider investigation into Scotland’s judiciary. The information came to light after Diary of Injustice was handed details of cases where judges have either been interviewed, charged, or cautioned by Police with regards to their conduct outside of the courtroom. As part of the still ongoing investigations, Diary of Injustice approached the Crown Office using Freedom of Information laws to seek details of members of the judiciary who had been prosecuted for criminal offences in the past few years. 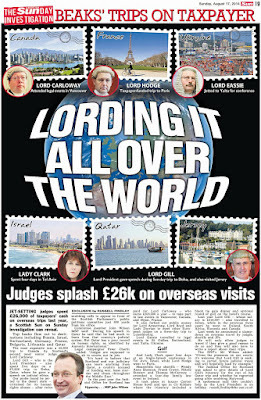 The Crown Office, who issued two lengthy responses to FOI requests but refused to name any of the judges involved, even the benefits cheat, admitted several judges had been charged with, & had pled guilty to criminal offences. 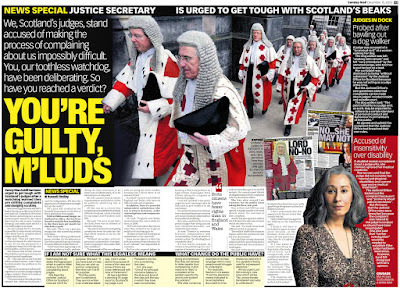 In comparison, if a member of the public is charged or convicted of Benefits offences by a Scottish judge, the Crown Office are more than eager to share the information with the media, pictures of the accused or those found guilty and issue lengthy comments about how the system catches those who deserve. Apparently not though when it comes to catching a crooked judge. • 3 contraventions of the Road Traffic Regulation Act 1984, section 89 – all pled guilty – sentences of £120 and 4 penalty points; £400 and 6 penalty points and £140 and 3 penalty points. 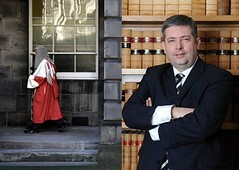 However, the Crown Office REFUSED to release any further information on the cases, citing fears the public may be able to speculate on the nature & seriousness of the allegations & criminal charges made against the judges who Scotland’s prosecutors are increasingly relying on to hand down verdicts in cases where the Crown Office fails to present accurate or substantive evidence against accused. 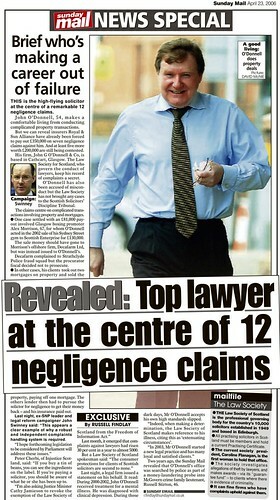 Mr McGeechan also admitted in one of the cases where ANOTHER judge had been charged with committing a criminal offence, there was “insufficient evidence to justify criminal proceedings”, a term now familiar in Scotland where members of the justice system appear to have escaped criminal proceedings on multiple occasions after ‘Crown Counsel” gave their usual ‘independent instructions’ not to proceed like in the case of the FOURTEEN LAWYERS who were not prosecuted for millions of pounds worth of LEGAL AID FRAUD after Crown Counsel gave similar instructions claiming a lack of evidence to prosecute. 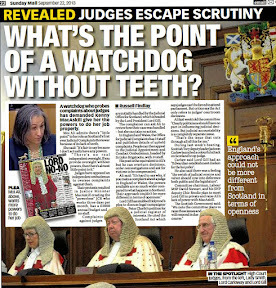 While the information disclosed by the Crown Office, which can be viewed online here : Crown Office : Criminal Charges against Scottish Judges does not contain any names of members of the judiciary, Diary of Injustice has been made aware of other cases of a criminal nature involving Scottish judges, now being looked into by journalists. 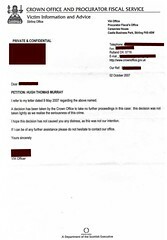 A solicitor speaking to Diary of Injustice yesterday said it was a very serious matter that members of the judiciary who have been convicted of or are charged with criminal offences, appear to be hiding behind exemptions to Freedom of Information legislation so the public don't get to find out their identities. 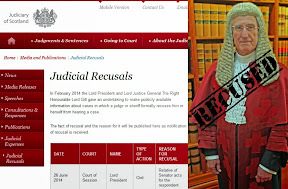 It has not yet been confirmed by the Lord President what sanctions or disciplinary action, if any has been taken against any of the judges who now hold criminal records like many brought before them in court. 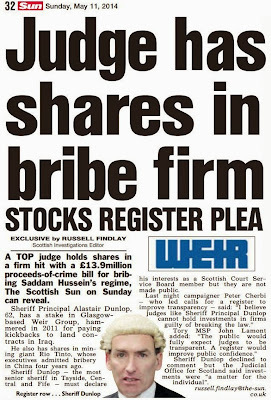 All sheriffs appointed in Scotland by Scottish Ministers are recommended to the position by the Lord President, after being considered by the Judicial Appointments Board for Scotland, a Scottish Government quango stuffed full of High Court judges, sheriffs, lawyers & quangocrats who earn £290 per day for choosing judges to fill vacant seats on the bench. 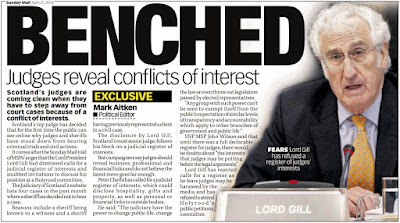 As there is no Judicial Register of Interests in Scotland at this time, there are little if no requirements for judges to disclose their criminal records or dodgy financial interests. 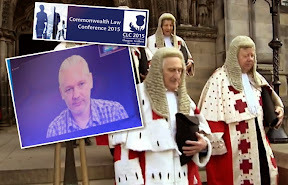 However, a public petition has been filed with the Scottish Parliament on this matter, now being addressed by other jurisdictions around the world such as New Zealand who are moving ahead with a Register of Pecuniary Interests of Judges Bill.